We’d be willing to bet that at some point in your life, you’ve tried on a pair of pants that fit on the bum but were a bit too big at the waist, producing what we’ll dub the Infamous Waist Gap. This hack’s a bit more advanced—it requires either a skilled sewing hand or a machine—but we have to admit, it’s pretty genius. If you’re experiencing the IWG, take a strip of elastic about six inches in length, then sew it using navy-colored thread (or whatever color matches your jeans) into the back part of your waistband. Sew it using a zig-zag stitch, so the denim slightly gathers and tightens a bit. 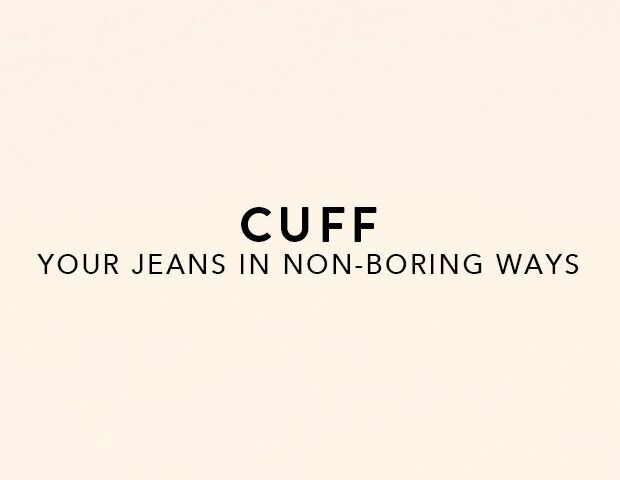 When you put the jeans on again—voila! No more gaps. You might think if the button falls off your favorite jeans that it’s time to lay them to rest and call it a day—but not so! All you need to replace a button that has fallen off: a new button (duh) and this handy- dandy little button snap. DIY blogger The Frugal Girl has a great guide on how to use the tool to add a new button to your jeans in, well, a snap!